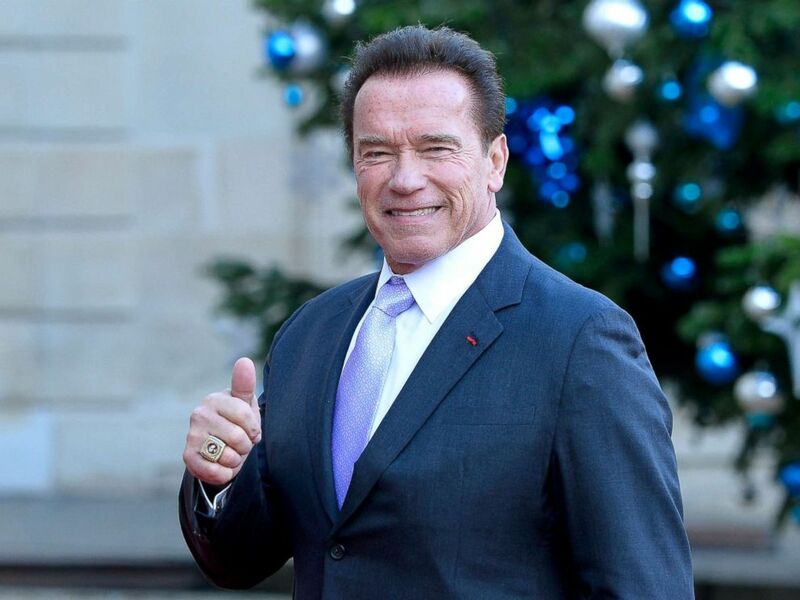 Arnold Schwarzenegger arrives for a meeting with French President Emmanuel Macron at the Elysee Palace, Dec. 12, 2017, in Paris. It was billed as a remedy for the plague of partisanship, a sweeping change to how politicians are elected that would encourage more inclusive politics in the nation’s largest state – and maybe hasten an end to gridlock altogether. Schwarzenegger may have been right about the scale of the impact -- just not in ways he or others involved anticipated. California gubernatorial candidate, Lieutenant Governor Gavin Newsom speaks at a campaign rally in Burbank, Calif., May 30, 2018. California’s once-touted “jungle primary” -- which will be featured in the marquee races on Tuesday, when voters in seven states go to the polls -- is following its own unusual laws. Foremost on that list is the rule of good intentions leading to unintended consequences. It’s a simple concept: Under the law approved by 54 percent of California voters in 2010, the top two vote-getters, regardless of party affiliation, will advance to the general election in every race in California. Instead of Democrats and Republicans each choosing one candidate in separate primaries, the final two in each race could include two Democrats, two Republicans, one of each, or even one or two third-party candidates. While this system has been in place in California since 2012, and while Louisiana and Washington state, have roughly similar ways of choosing candidates, it has never mattered like it could in 2018. This year, it could conceivably sway the balance of power in Washington. Rather than tempering partisanship, it has sparked fierce intra-party warfare. The unusual set-up has sent candidates running toward partisan extremes, created cases of beyond-strange bedfellows, and is leaving Democrats downright panicked that they might be locked out of some of the most winnable House races on the map. Rather than generate the kind of enthusiasm that’s been on display in other states this year, some observers who have analyzed early-voting data believe turnout will be down in California, as it was in the only other midterm year under this voting system (2014). That’s only the start of the unexpected ways politics is playing out in the Golden State because of this electoral reform. 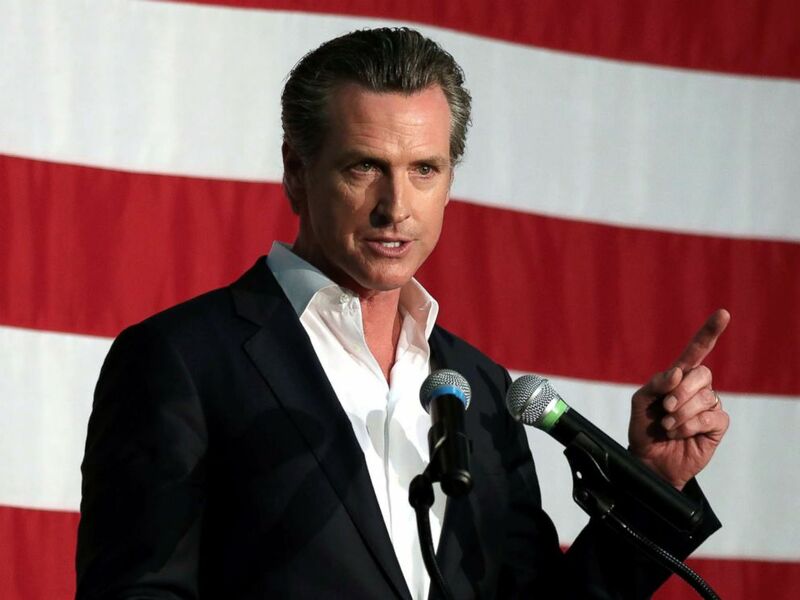 In the governor’s race, the frontrunner, Gavin Newsom, appears to be helping boost the campaign of his main Republican opponent, on the calculation that he will be easier to beat than another Democrat would be. Newsom is running an ad informing voters that “John Cox stands with Donald Trump and the NRA.” It’s being seen as a not-too-subtle effort to motivate core Trump supporters to vote, even though Democrats in House races may suffer in November with Cox on the ballot. Cox finishing second would also keep a high-profile Latino Democrat, former Los Angeles Mayor Antonio Villaraigosa, off the final ballot. In the Senate race, Republicans could wind up shut out of the general election. But the jungle primary means that an icon in Democratic politics, Sen. Dianne Feinstein, who is about to turn 85, may have to battle all the way through November to fend off a challenge from the left posed by the state Senate president, Kevin de Leon. Even bigger ramifications could be felt in House races. California currently has seven Republican representatives serving in districts carried by Hillary Clinton in 2016. Democrats are targeting a total of at least 10 House districts as potential flips from red to blue – nearly half the number they’d need to take control of the House altogether. But that assumes they even get a candidate running in November in all of those races. In three districts clustered in Southern California, stretching from Orange County to north of San Diego, there are so many Democrats among the 47 candidates on the ballot that they could wind up cannibalizing each other’s votes, shutting Democrats out of the final round of voting. 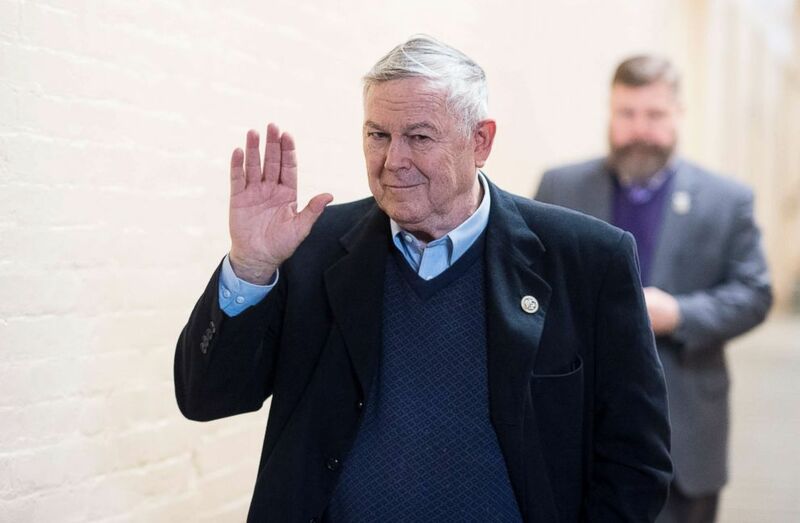 Rep. Dana Rohrabacher arrives for the House Republican Conference meeting in the Capitol on Monday, Jan. 22, 2018. It’s a concern in the district House Foreign Affairs Chairman Ed Royce is retiring from, where national Democrats helped broker a non-aggression pact between two self-funded Democratic candidates, in the hopes that at least one will advance to November. It’s a concern in the district Rep. Darrell Issa is vacating, where Clinton received 50.7 percent of the vote and Issa squeaked by into another term by a mere 1,700 votes. In that race plus the Royce district, Democrats have been spending late to damage strong GOP candidates, in the hopes that one Democrat will advance. It’s also an urgent concern in the race to take on Rep. Dana Rohrabacher, an idiosyncratic and controversial figure who has served in Congress for nearly 30 years. His close relationship with Vladimir Putin’s regime in Russia has earned him Republican as well as Democratic challengers; there’s a solid chance he’ll face only a fellow Republican in the fall, spoiling a prime pick-up opportunity for Democrats. The wild range of possibilities have caused frustration for Democrats, who bemoan the expenses being incurred now – and the potential damage of leaving seats on the table in California, of all places. She has defended her fellow members of the California delegation for taking sides in open primaries -- generally a no-no, so as not to tamp down voter enthusiasm -- as the only way to avert electoral disaster. 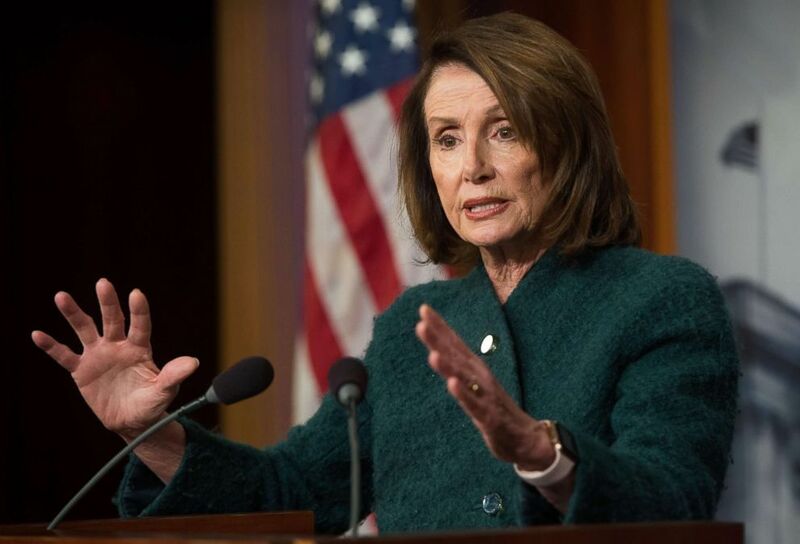 House Democratic Leader Nancy Pelosi speaks about the Omnibus budget deal during a press conference at the US Capitol in Washington, DC, March 22, 2018. “They may be subjected to criticism for that, but I’d rather be criticized for winning than criticized for losing,” Pelosi said last month. Pelosi and many in the establishment of both parties in California were never fans of this particular reform. It was mainly a Schwarzenegger-backed initiative, borne of frustrations he felt in navigating a polarized Sacramento. The Republican Party’s long-term prospects in California remain bleak. A recent analysis revealed that there are now more independents than Republicans in the state, leading to snarky commentary about the GOP now being a “third party” in the home state of Ronald Reagan and Richard Nixon. But eight years after a celebrity governor championed a reform he said would “change everything,” bright-blue California might wind up with touches of red because there are too many Democrats running for too few states. “There’s a very long history of the unintended consequences of reform,” Pitney said.